Kellogg's Painting Company is a professional painting contractor located in Leeds, NY. 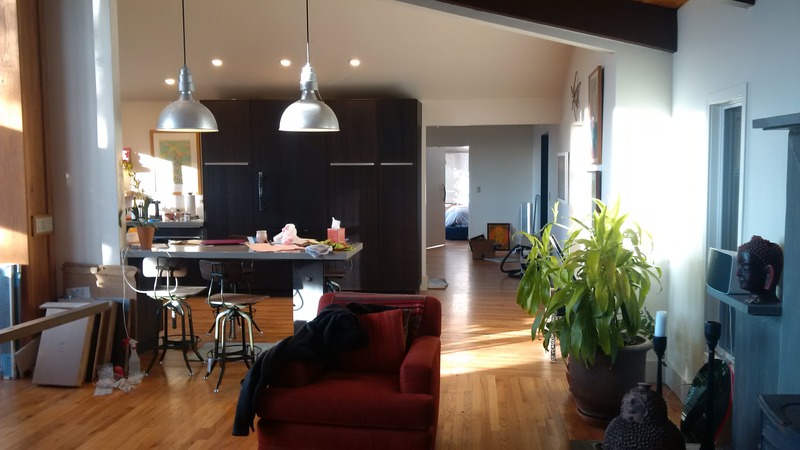 Our painting company provides services to homes and business in the Woodstock, NY area. Kellogg's Painting specializes in providing residential interior and exterior home painting contractor services, deck restoration, custom staining and low pressure house washing of vinyl and aluminum siding buildings in the Woodstock and surrounding Ulster County areas, including Saugerties New York. Kellogg's Painting painters are full time employees. Our staff of professionals are safety trained and knowledgeable with interior and exterior paint coatings and applications. Our painting company is fully insured and will provide an insurance certificate from our insurance agent upon your request. The professional painters at Kellogg's Painting pride themselves on providing superior painting services to homes and business in Woodstock, NY since 2007. If your deck, log cabin or homes wood siding stain is failing, faded, grey or worn you need to call a professional staining contractor. Kellogg's Painting Company is a Sikkens Staining Certified Contractor and Wolman Staining Certified Wood Care Professional. This means we have gone through extensive training and have the knowledge and proper equipment to restore, revive, protect and beautify your Woodstock, NY deck, log cabin or homes wood siding.